"I just wanted to drop a note and tell you what a fabulous job you have done with Fairwood Community News!! Thanks for all you do!!" 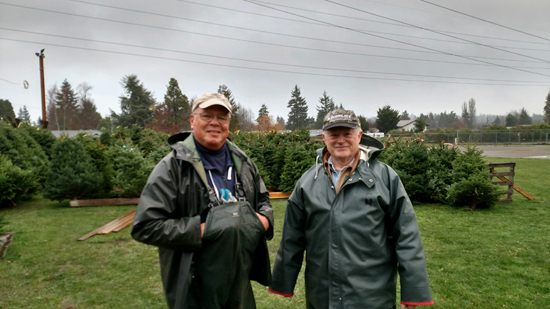 If you haven't picked up your Christmas tree yet, don't forget to shop at the annual Fairwood Lions Club's tree lot at the CVAC baseball field, adjacent to the Cascade shopping center on 116th Ave. SE. "We help with eye glasses, hearing aids, needed clothing for kids at four local schools, and much more," said Lions spokesperson Carol Johnson. All will rendezvous at Fairwood Elementary's Gym, where a Renton Fire Department truck will lead carolers around the Fairwood Greens community. Fairwood Methodist Church members will also join the festivities. On October 26, officials with the Kent School district notified KCSO that a student at Northwood Middle School had found notes of a non-sexual nature that appeared to be addressed specifically to him taped to the side of a urinal as well as an iPod attached to the inside of the same urinal. The student had found and given school officials other similar notes that he had found over the previous two days, but it was unknown who they were from and the sender's intentions. After the iPod was found and they determined it belonged to an employee, school officials immediately removed the employee from service and notified KCSO. Deputies responded and collected evidence that was turned over to Special Assault Unit Detectives. On November 14, following a search warrant of the iPod, the suspect was arrested at his home without incident. Kent School District officials are fully cooperating and assisting KCSO in this ongoing investigation. The suspect was a paid intern with the school district's IT department. He had also worked at Kentridge High School. Northwood Middle School serves the Fairwood community. FCN Note: As best as we can tell, this accident occurred near Fairwood's Candlewood Ridge Park on 179th. Our condolences go out to this family and friends. Shortly after 6pm on Monday, KCSO 911 received multiple calls about an accident involving a tree hitting a car in the 15900 BLK of SE 179st in unincorporated Renton / King County. Callers reported hearing the sound of a crash and then coming out of their homes to see a large tree had broken off 10-15 feet above the ground and crashed down on a passing car. When the neighbors rushed to the car, they found that it had fallen directly on the front passenger compartment of the vehicle. Because of the size of the tree and where it fell on the car, they were unable to do anything for the driver or front seat passenger, but they were able to pull a young toddler girl from the back seat and comfort her until AID crews arrived. When KCSO Deputies and Fire / AID crews from Renton arrived, the driver was pronounced dead. Fire crews were able to cut the tree off the car and then had to cut the roof off of the car to free the passenger. The passenger had obvious injuries to her lower extremities and possible internal injuries. The Toddler had no obvious, major injuries, but was undoubtedly shaken up by the whole incident. Both were taken to Harborview hospital. Pending ID confirmation from the King County Medical examiner of the deceased as well as a positive ID on the passenger, the exact relationship of the three females in the car can not be confirmed by KCSO at this time. The tree that fell was approximately 30 inches in diameter and tall enough the after snapping off 10-15 feet above the ground, was still able to go across two sidewalks and two lanes of traffic. It is unknown if the tree was on public or private property. King County Sheriff Major Accident Response Reconstruction Detectives will be investigating the accident. At this point, there does not appear to be any fault from anyone involved. It appears to be a very horrific and tragic accident related to the wind storm that was in the area at the time this occurred. 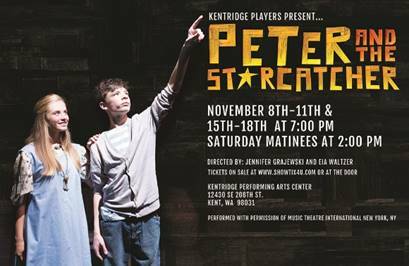 Kentridge Players are in their second week of performances of the madcap musical "Peter and the Starcatcher.” The show is directed by Jennifer Grajewski and Eia Waltzer with music direction by John Kelleher. The Tony-winning "Peter and the Starcatcher" upends the century-old story of how a miserable orphan comes to be The Boy Who Would Not Grow Up (a.k.a. Peter Pan). From marauding pirates and jungle tyrants to unwilling comrades and unlikely heroes, "Peter and the Starcatcher" playfully explores the depths of greed and despair... and the bonds of friendship, duty and love. All performances are at Kentridge's Performing Arts Center. Renton, Washington – On October 11, Renton police arrested a man suspected of having sexual contact with an under...age female student at his Renton Martial Arts studio. The suspect is the owner of the studio, which is located in the Cascade neighborhood of South Renton. 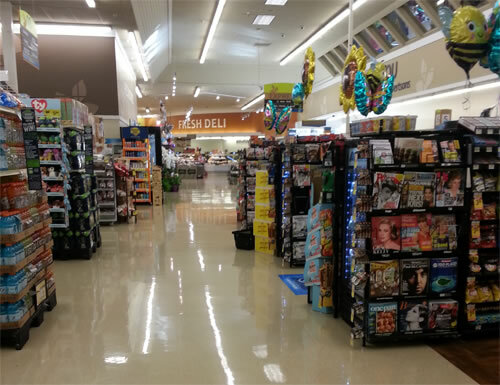 We will be closing the Fairwood Albertsons store on September 9th. When we initially reopened the store, we did so with the belief that operating two stores in the region was the best way to service the community. 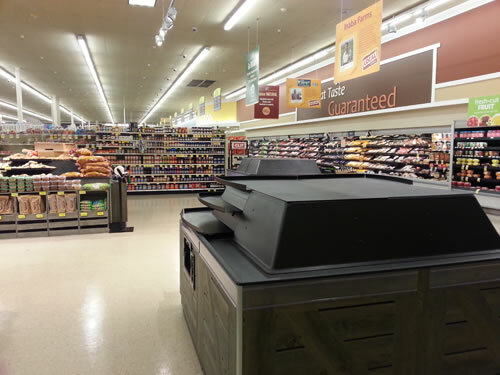 Since that time, the performance of the Albertsons store has been consistently declining. 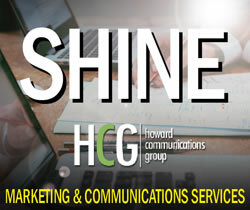 We evaluated the store extensively for opportunities to improve its performance, but ultimately our business analyses indicated that we needed to cease operations at this location. 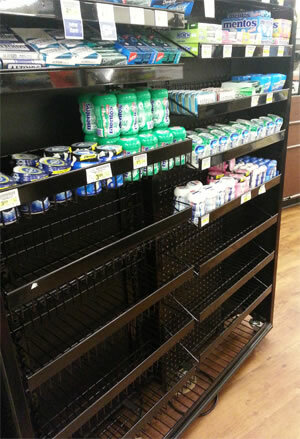 We only make such difficult decisions after long and careful deliberation, and despite the best efforts of the company and our employees, we concluded that this store will not be able to adequately compete in this marketplace. Closing a store that has been underperforming and is not positioned for future profitability allows the company to focus its capital on store enhancements and better value propositions for our customers. Our Human Resources and Employee Relations team is working diligently to place as many employees in nearby stores as possible, consistent with the terms of our labor agreements. We'll let you know if the spokesperson provides a response. Gather up family and friends, snacks, blankets, and lawn chairs and head over to Petrovitsky Park for an End of the Summer Treat! King County Parks will show DreamWorks' 'Trolls' on a mega screen. Seating opens at 6:30 pm on Saturday, August 26, and the movie begins as dusk. Get ready for some fun in our own community backyard! 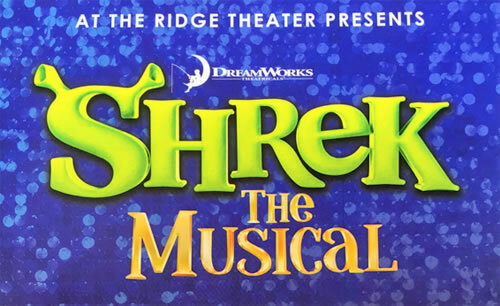 This summer's featured musical for At the Ridge Theatre is 'Shrek The Musical.' In its final week, performances are sheduled Thursday, Friday, and Saturday, August 10-12, at 7:30 pm. An additional matinee performance is on Saturday at 2:00 pm. Tickets for evening performances are $15 and $7.50 for the matinee. Performances are at Kentridge High School's Performing Arts Center. Garage sales hit a peak this weekend, with FOUR adjacent Fairwood communities holding combined annual community garage sales, sure to be a crowd pleaser! Sales are set to run Friday through Sunday, July 7-9. Doors (of the garage kind) open at 9:00 a.m. in most neighborhoods. Communities include Fairwood Greens, Candlewood Ridge, Carriagewood, and Fairwood Crest. 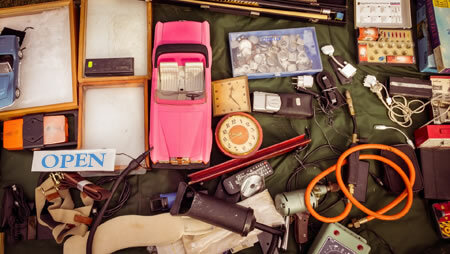 You're sure to find some gems, so start early and help your neighbors by wheeling and dealing for gently used bargains! 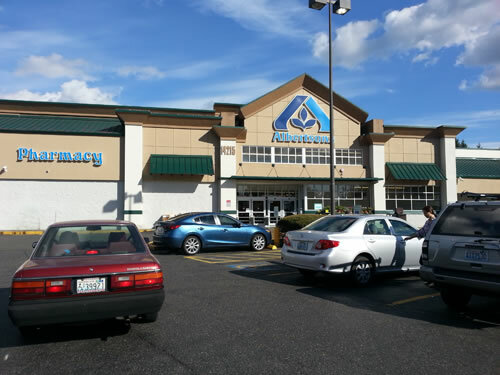 These four communities border 140th Ave SE and Petrovitsky, both north, east, and west of the Fairwood shopping area. Follow the signs! Heading into Fourth of July, a stray firework resulted in a house fire that has potentially destoyed a home. 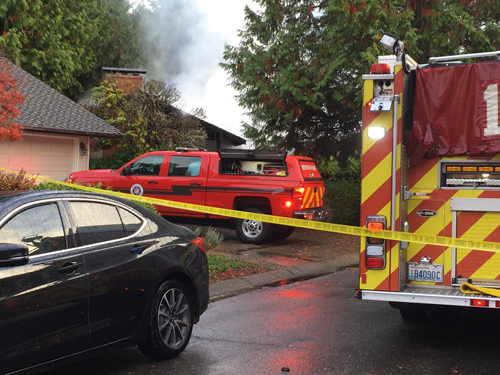 Around 11:30 last night, emergency calls sent five fire engines to the home at 15521 SE 179th Street in the Candlewood Ridge neighborhood. Fire fighters battled the flames, but neighbors think the house is a total loss. "We had red lights flashing into our home until 2:30 in the morning," said one neighbor. "They had to stay late to be sure all the hot spots were out." Neighbors tried to comfort the homeowner, who could do nothing but watch. Reports were that fireworks landing on the back roof of the home started the fire. Most of the roof of the home is destroyed, and portions have fallen to the first floor of the two-story home. Officials were on site this morning to ensure the building was structurally secure. It's not known whether criminal charges will be filed for this incident. With students on break for the summer, the Kent School District prepares for the release of its 2017-18 budget, expected to include painful cuts. An April 2017 budget freeze caused similar actions because of lower enrollment projections, resulting in reduced state funding. 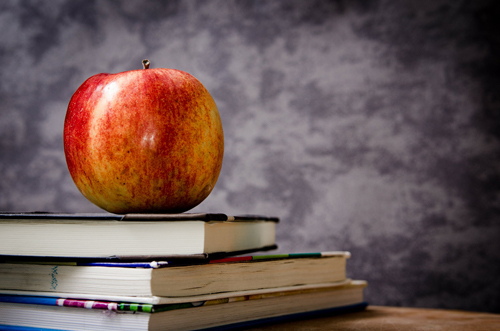 That shortfall, amounting to about 500 students, was attributed to an increased number of students who enrolled in the Running Start program and a new charter school. Fewer new housing developments also had an impact on projections. As a result, the District announced they would cut the materials and supplies budget by 20 percent in April. A continuation of that plan is expected. The latest rumors parents are hearing include program cuts at schools. Parents at Mill Creek Middle School have begun a petition to fight a rumored cut in the school's choir program. No news on this cut is posted on the District's or the school's websites. No information has been heard regarding potential cuts for local Fairwood neighborhood schools. Final work on the 2017-18 budget was completed June 21. The published budget is scheduled to be released on July 10. Independence Day is just around the corner, and reports of middle of the night fireworks BOOMS unsettle both humans and our pets. 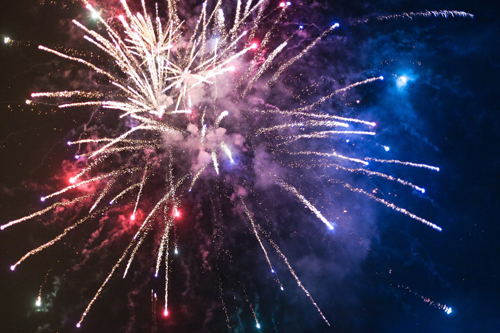 Before you pull out the barbecue and pour your favorite beverages, take a moment to care for pets that suffer from Independence Day Fireworks anxiety. SECURE YOUR HOME: Pets may have a tendency to flee what is really a place of security - your home. Check to ensure gates and doors are closed and windows are pet proof. NEUTRALIZE THE SOUND: Turn up the sound in your home with music, the television background noise in an effort to prepare for the increased noise of fireworks and hopefully neutralize the jarring booms. OFFER COZY COMFORTS: Keep the lights on, offer a cozy dog space, and wonderful, distracting dog treats and toys. And don't forget to hydrate your pet. CHECK INS: If you can't be with your pets through the most actives fireworks session, check in on them regularly - before, during and after. CLEAN UP: After firewords, don't forget to clean up the yard (check the back yard, too. CHIP YOUR PET: If you can, try to chip your pet or at least attach a dog tag. If your pet is lost, the likelihood they will be returned increases. MEDS: Yes, if your pet experiences extremely high anxiety, your local vet may be able to offer meds to calm those nerves. One Fairwood neighbor recounted a former neighbor lost a pet who panicked and dug at a garage door, fleeing only to be killed by a car. Let's work hard to keep this from happening again! Three Fairwood area Community Garage Sales have a hot weekend ahead for shoppers. Don't forget your chunk of cash and be ready for a full day of fun! Rolling Hills: Signs are out for this weekend's Rolling Hills community garage sale. This neighborhood, located within the City of Renton's city limits, includes homes on both sides of South Puget Drive (the road that connects with 116th and winds down the hill, feeding onto Benson and Grady Way). Maple Ridge Estates: Check out the deals at the neighborhood sale, located on the west side of the 140th Ave. NE hill feeding into Maple Valley Highway. The sale is scheduled to run Friday through Sunday. 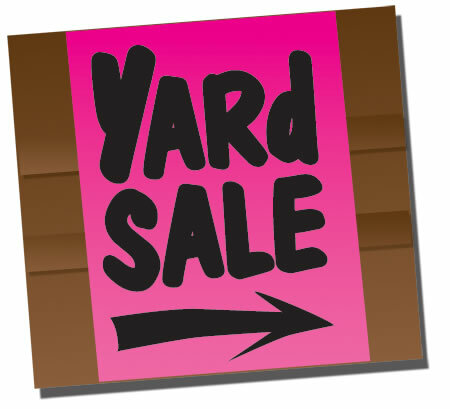 If your neighborhood has plans for a community garage sale, please let us know! You don't have to travel far to check out three neighborhood Fairwood community sales this weekend! 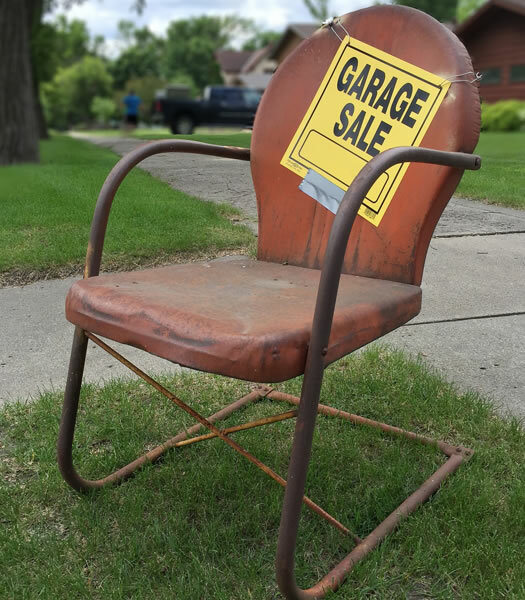 Boulevard Lane, Forest Estates, and Westmont Vista will offer a coordinated garage sale event, offering shoppers a concentrated opportunity to find some fantastic deals in one area. This weekend unofficially launches Fairwood's annual tradition of summer neighborhood sales, and Fairwood Community News is proud to support all our neighborhoods! (Fri - Sat) from 8am to 4pm. Many houses throughout the development participate in this popular event, each hosting their own sale! Maps showing registered participants will be available at the entrance. This is a FREE event! 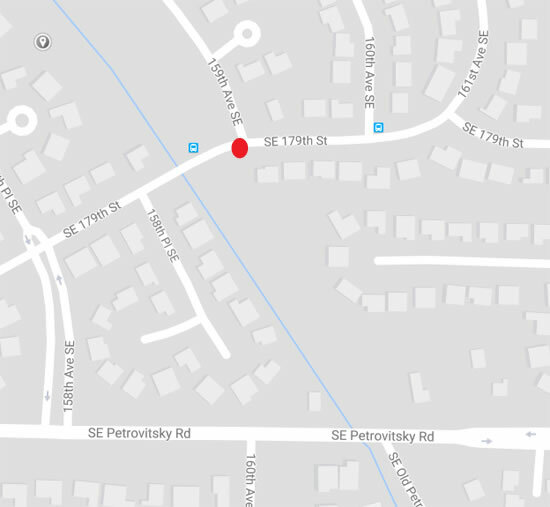 Boulevard Lane is located near Fairwood off 192nd Ave., across from St. Stephen the Martyr Church and next to Meeker Middle School. Forest Estates and Westmont Vista: This community sale runs Friday-Sunday, June 2-4, located just east of Boulevard Lane on 192nd Ave. Westmont is located north of Forest Estates. Be sure to check out the deals! Stay tuned for more updates on neighborhood sales - please let us know about your sale! 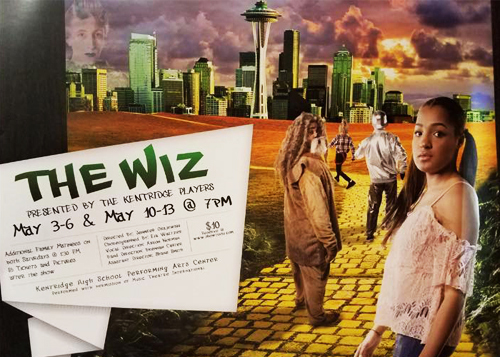 In its second and final week of performances, Kentridge High School, along with the Award-winning Kentridge Players, are presenting the musical, “The Wiz,” originally written by William F. Brown. The troupe's production of this 1970's version of "The Wizard of Oz" includes "wonderful scores, terrific acting, and a meaningful plot that is great for kids and adults alike," said a KR Drama spokesperson. The show is directed by Jennifer Grajewski and put on by the students at Kentridge High School. Final performances at the Kentridge High School Performing Arts Center are Thursday, Friday, and Saturdays nights at 7 p.m. and a Saturday family matinee at 1:30 p.m. Tickets are $10 for evening shows and $5 at the Saturday matinee. 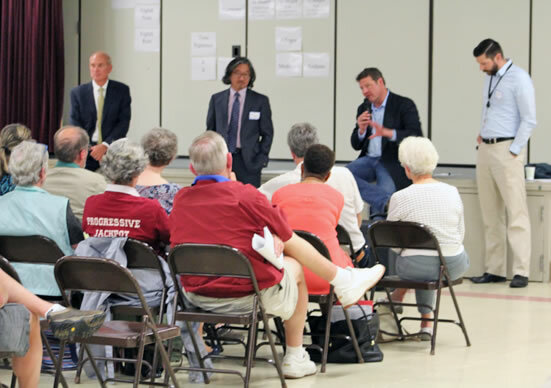 King County Councilmember Reagan Dunn, Budget Director Dwight Dively, and Sheriff John Urquhart will participate in tomorrow's King County Town Hall/Open House, which runs from 7:00-9:00pm at Northwood Middle School. King County’s Community Service Areas (CSA) program works with County officials to offer Town Hall meetings throughout unincorporated King County. An excellent opportunity for Fairwood neighbors to hear news of interest for our neighborhoods and ask questions of our County officials, all are encouraged to attend the meeting. The CSA program also offers annual grants to local community organizations including those noted in the Fairwood Community News. Some folks Fairwood felt a bit of a power surge tonight, but other neighborhoods can expect to be out of power for a few hours. 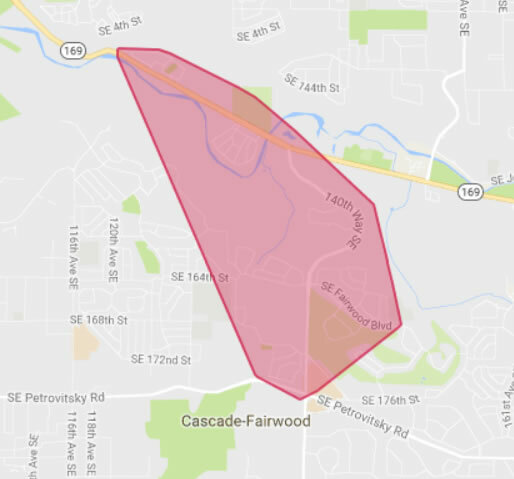 Neighborhoods including the Fairwood Shopping Center; portions of Fairwood Greens, Fairwood West, and Fairwood Crest; all of Elliott Farms and Maple Ridge Estates have reported outages around 11 pm with estimated repairs to be completed around 1 am. 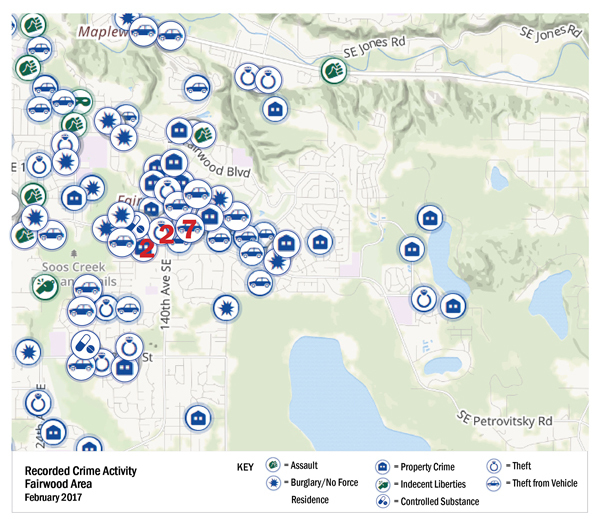 Above, the map shows reported crime activity in Fairwood for February. Concentrated crimes were reported in Fairwood shopping areas, but homeowners continue to report neighborhood prowling to identify whether people are at home during the day. Strong neighborhood watch programs can help to deter potential break ins. Individual reports not listed in the monthly summary include stolen mail, "secure" mailbox break-ins, and porch theft from UPS and FedEx deliveries. Some activity to steal mail, even with the new keyed mailbox configurations have failed. Neighbors are encouraged to promptly pick up mail after delivery. Addiional efforts to secure vehicles at all times and remove all valuable articles that may encourage break ins may also deter crime. A high level of theft from vehicles was reported, displayed, for February. Please continue to be vigilant and call 911 if you see suspicious activity. 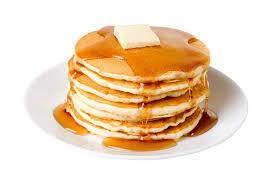 Fairwood neighbors are invited to the Boy Scout Troop #455 annual Pancake Breakfast on Saturday, March 4, from 7:30-11 am. The event again will be held at Fairwood Community United Methodist Church, 15255 SE Fairwood Blvd. in the Fairwood Greens neighborhood. A book fair and bake sale is also a part of this annual fundraiser. Tickets are $6 at the door ($5 pre-sale), and kids two and under are FREE! Menu includes pancakes, sausage, orange wedges, coffee, tea, milk and orange juice. Proceeds from this event will support the activities of the Boy Scouts throughout the year, including camping, leadership training, and community service projects. Local Boy Scouts will also be collecting canned food for the annual Scouting for Food Drive on March 1, so all should keep an eye out for flyers in March. To learn more about the Scouts, visit their website for more details on joining Troop #455. The group is open to boys in grades 6-12. Visit www.troop455.com or contact scoutmaster@troop455.com. Scouts meet Mondays, 7-8 pm, at Fairwood Community Methodist Church. Thank you for supporting Boy Scouts! 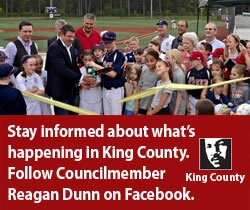 Metropolitan King County Council Vice Chair Reagan Dunn announced today that five community projects in the Unincorporated Fairwood neighborhood will receive a financial boost from King County’s Community Service Area (CSA) program. The grants are designed to support programs that allow unincorporated county residents to become more connected in their communities. The Parks Homeowners Association will receive $1,600 to repair a playground structure. The Fairwood Greens Homeowners Association received a grant for $2,000 to host a Neighborhood Day, called the LAST SPLASH. The Woodside Homeowners Association received a $2,000 CSA grant, which they will use to put on their third Fairwood “National Night Out” community gathering. The Boulevard Lane Community Association received a $1,000 grant for community events, including their National Night Out and community safety training. The Lake Desire Community Club also received two grants, totaling $3,150, for the remodel of the exterior of their club house and their National Night Out event. More than 72,000 residents of Council District 9 live in unincorporated communities. Grants are available through a competitive application process. The grants must be used to fund community projects that offer unincorporated area residents an opportunity to participate and be more connected in their communities. A total of $90,000 was awarded for projects in 2017. Fairwood area neighborhoods received close to 11 percent of those funds. Unincorporated community groups interested in learning more about the CSA program and how to apply for future grant opportunities can contact Councilmember Dunn’s office at Reagan.Dunn@kingcounty.gov or visit http://www.kingcounty.gov/initiatives/community-service-areas.aspx for more information. Fairwood Community News congratulates all four neighborhood communities! A landslide closed all westbound lanes of the Maple Valley Highway (SR 169) into Renton at Cedar River Park Drive, near the Henry Moses Aquatics Center this morning. One eastbound lane of the highway was open to traffic. Westbound traffic was stopped at 140th and detoured to alternate routes. 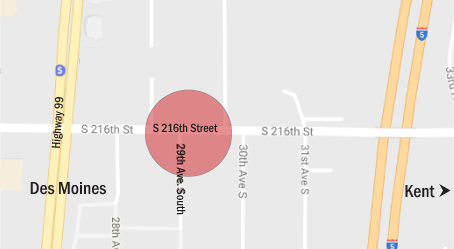 Vehicles in the area between 140th and the slide area were detoured via 140th. City of Renton Public Works crews were on scene removing debris and estimated the work would take three to five hours. Earlier this morning, a landslide also occurred on Lake Washington Boulevard between the entrances to Gene Coulon Memorial Park. City crews completed the clean-up by 8 a.m. and monitored the area to ensure it was safe. King County Sheriff’s detectives received information that a Kent teen believed to be connected to the Beaver Lake Park homicide in Sammamish early this week was in an apartment in the 21600 block of 29 Avenue South in the neighboring City of Des Moines. Sheriff’s deputies and detectives were outside of the apartment when the suspect and another man exited. When the men saw the deputies they both pulled handguns. Three deputies fired striking one of the men. The other man fled the area on foot and discarded his gun as he ran. It is unclear at this time if either of the men fired their weapon. The injured man was taken to Harborview and is in critical condition. The suspect came out of the apartment just after 5 am and was taken into custody without incident. Detectives have not said what involvement he may have had in the Beaver Lake homicide. He is a 16 year-old from Kent. 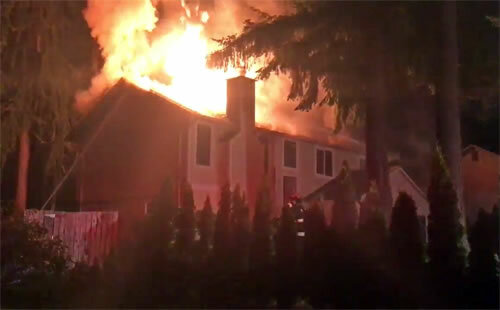 1 patio furniture fire in the Renton service area. Also 1 house fire in Kent and 1 house fire in Skyway. 13 motor vehicle accidents (MVAs) – 5 of which were due to inclement weather (black ice). 8 other MVA’s were due to other causes and one of these MVA’s was a fatality. 4 shootings – One of which was the metro bus shooting on 12/16/16. Remember to avoid saying “nine eleven." There is no eleven on a telephone keypad or dial. Always say "nine-one-one." 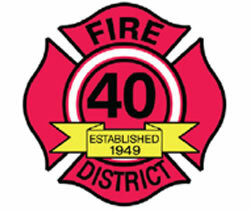 If there is a fire in the house, get out first and then call. "The Lake Desire Community Club is appreciative of having a place on the website to post our community updates. 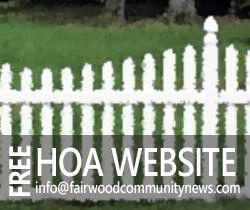 It is great to have our local Fairwood community information one click away. Thanks for all of your hard work on this website!" © 2016 Fairwood Community News, Inc.